Remember the Holiday Ornament swap we posted about in the beginning of November? We have already send out our ornaments and received one! 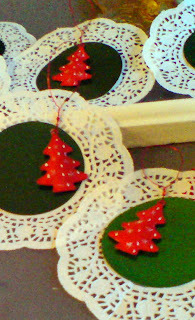 If you want follow up on whats happening, come check on FLICKR and get into the crafty Christmas mood!